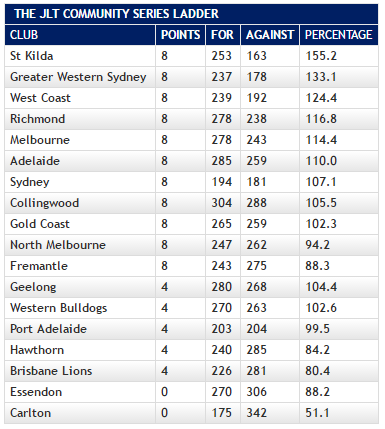 Entrants to the finalists-tipping competition are very sure that the GWS Giants will make the finals, with good reason. 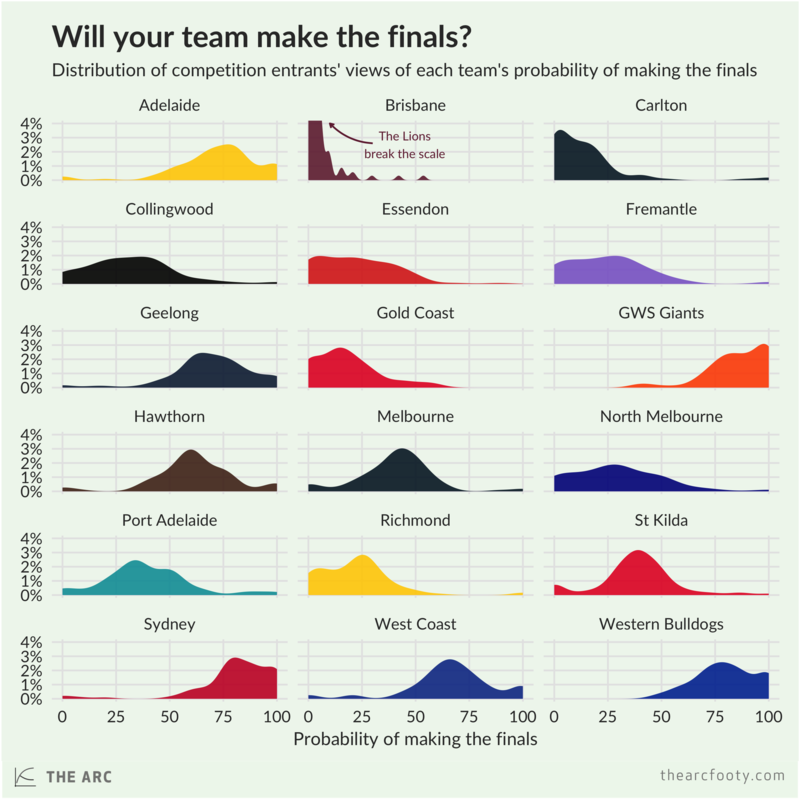 The median estimate was that the Giants have an 88.4% shot at the finals this year. That’s more bullish than the chances given to the Giants by the betting markets (79%) or our Elo model (72.8%). At the other end of the scale, the clear consensus is that the Lions have a tiny chance of making it. The BigFooty Squiggle 2017 thread kicks off here! Here’s the starting point for 2017! Positions are calculated from 2016 performance only: They don’t take into consideration list changes, injuries, the fact that 90% of GWS is made up of first round draft picks just coming into their prime, and so on. Welcome to Squiggle! The idea is to gather the most interesting AFL modeling and data analysis from around the web. 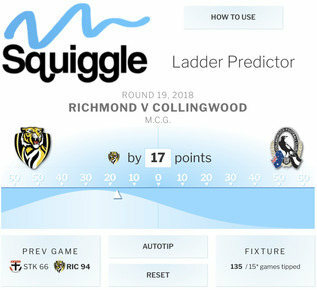 Squiggle bots continually poll these sites and other sources for the latest probability estimates, creating Squiggle Dials for an at-a-glance summary of who’s tipping what.